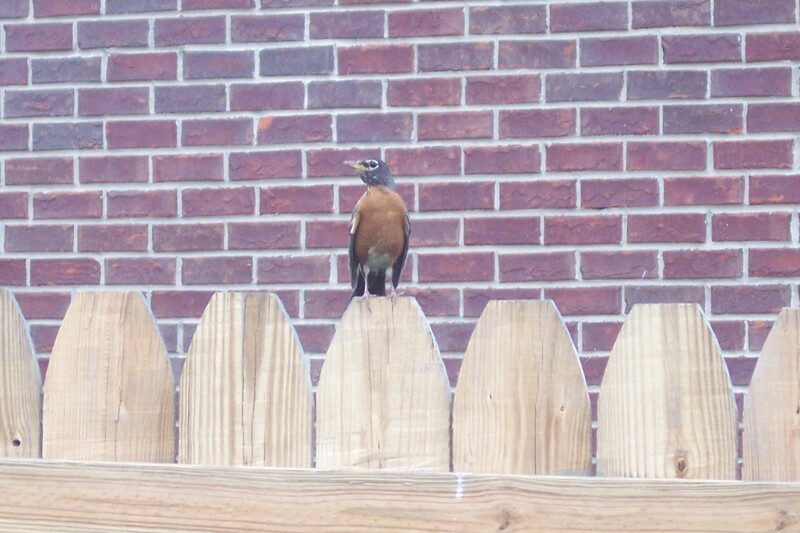 While pressure washing the fence today, this little robin was my constant companion. She (I’m assuming she because I believe there is a nest in my tree) stayed very near me all day. I was surprised at how close she was getting…sometimes within a couple of feet, but I figured she was probably staying near to make sure I wasn’t going to get too close to her babies. Watching her watch me made the task of pressure washing a little more interesting today, and a great Photo-a-Day entry.